5 Reasons to try Reformer Pilates. I have been going to reformer pilates at the Akasha Wellness centre for about a year. I would love to be able to go more regularly, but after a busy few weeks, it was wonderful to be back. If you’ve never been to a reformer pilates class before, here are 5 reasons that you should . . .
1. Relax- I love going into Akasha, the beautiful studios always have a calm relaxing vibe. Laying flat on the reformer, breathing deeply, listening to music, it’s always a great way to start the day. 2. Sculpt – The resistance element of reformer, really helps to tone and sculpt your muscles, especially the abs! You can work at a level to suit your ability, and if you’re doing it right, you will feel every muscle working form head to toe. 3. Challenge – It’s always good to challenge yourself, try something new and work your body in a different way. 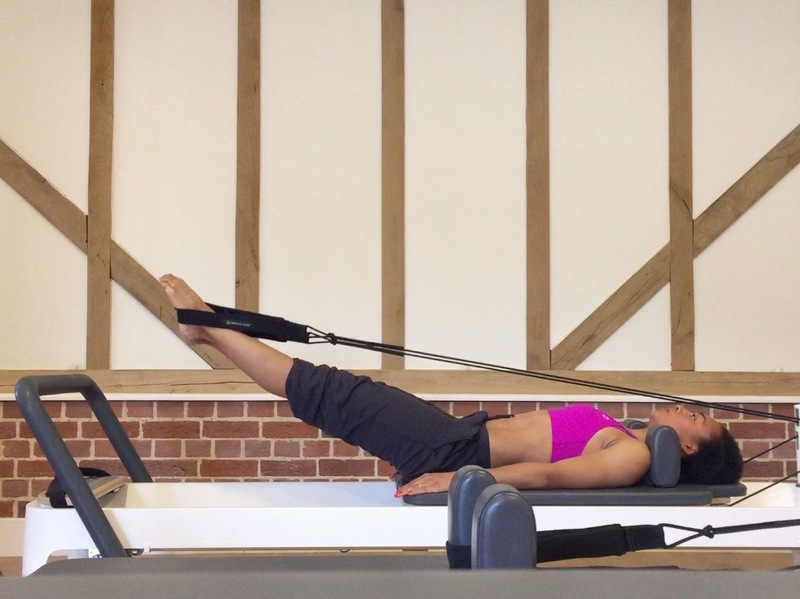 Reformer targets the deep stabilising muscles which we often neglect. 4. Recovery – Stretching out your body is really important when you’ve been training hard. After a long run or a very intense workout, sometimes your muscles can feel heavy and sore the next day. Everyone knows that I love stretching. I’m always going on about the benefits and posting bendy pictures on Instagram. 🙂 The reformer bed offers resistance whilst you stretch, so it really helps to increase your flexibility. 5. It’s fun – After a busy week of work, make some time to play. Working out shouldn’t feel like a punishment, find something that you love!